November « 2016 « Write, or Else! I’ve looked around the internet and decided on some new reads to get me through the week. Here are my choices for November 27 – December 3. The author of this book sent out an update this week – Fae Child stands 89 orders out of the minimum 250 it needs for a basic publishing deal from Inkhares. The book follows Abbie is she is pulled into the world of Fae from her Oregon home. Meanwhile, a changeling double of Abbie appears back in the real world – a double that looks and acts almost like the real Abbie. I’ve read over the sample chapters, and I just love Meissner’s imaginative details in her descriptive prose. The dialogue is fairly crisp, and I can see great potential for this story in the YA fantasy market. I wish Meissner all the best in her campaign, and I’m certain this book is a good investment and well worth a read. Oh, free books, how can I resist? 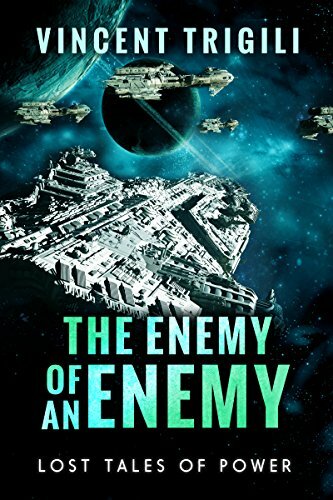 I found about The Enemy of an Enemy by promotional email – at time of writing, the book is still free on Amazon Kindle. I thought I’d just click the big yellow button and scroll through the first chapter, because hey, why not? Here’s the thing – I’m still reading. It starts off as sci-fi, with the main character, Vydor, as the captain of a ship sent to investigate a secret research colony. Fantasy elements work into the story as magical forces are introduced into the plot, making the story a mash-up of genres. Unfortunately, I’m finding the writing style a bit clunky – the narrative doesn’t use contractions at all, for starters, and there are other quirks with the grammar that suggest the writer is coming at this English story from another language. I like the idea. though, and apparently there are several more books in the series. Worth a look, I think. That’s all for this week’s edition. What are you reading now? Just two books on the reading list for this week, but they are two good ones! A zombie virus breaks out, but big corporations step in to save humanity – only the corporations are run by vampires (because of course they are). Humanity is saved, but kept as a subjugated food supply! With a good cast of characters and well-paced narrative. This book has already met the minimum orders for publication, so if you can support it, you will be helping Robert Batten get to 750 orders – a threshold that will net him full editing and production support from Inkshares. Over at Online Book Club, they choose independently published books and have their reviewers look over them. The selections are hit-and-miss, but this month’s choice looks really entertaining. the hero of the book unexpectedly becomes a vampire and is forced to live and play by the rules of the Undead. From what I’ve read so far, the writing style is amusing and well-written. I admit to nearly dismissing the book based on its premise and less-than-thrilling cover art, but the reviews were enough to get me interested. At least look at the free sample pages on Amazon – it’s worth checking out. That’s all for this week’s edition of Reading Radar. What are you reading? Read ‘Painted Blue Eyes’ over at tccedwards.com! As I work on my novel, I’m also sharing some of my previously published short stories. Over the last two weeks, I posted the story Painted Blue Eyes at my other site. This story was published in June 2015 by FictionMagazines.com – the issue which featured it, Vol. 06 No. 04, can be purchased on Amazon. Go over to the two-part post on my other blog and give it a read! Here is what I’m reading this week! I just started on this serial, and I love the writing style so far. The world-building for this superhero reality series is just great, with rich history and detail. Six characters are explored through first-person POV, so it gets a bit confusing with different “I” narrators telling their stories, but it’s pretty easy to read. I remember seeing this before, and I went back to it this week. It’s basically an X-rated Futurama, with spoofs of longstanding SF and fantasy tropes. The main character is fun to follow, as the writer injects humor and enthusiasm into every paragraph. Definitely worth a look! 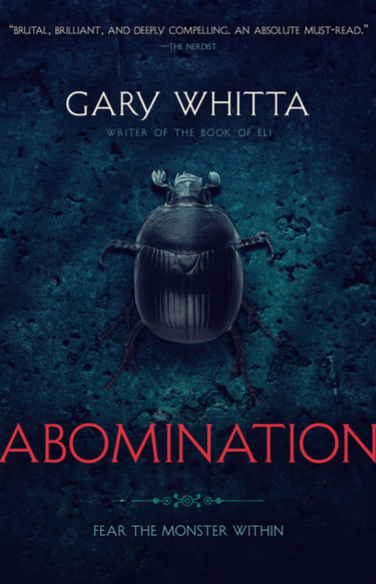 One of the most successful projects on Inkshares to date, Ambomination is a mix of Historical Fantasy, SF, and Horror. I’ve been looking at the free samples available, and I’m ready to buy this. The writing style is easy to follow and descriptive, with some really great touches of chilling horror. And hey, the ebook version is only 99 cents, so how can you go wrong? That’s what I’m reading now. How about you? It’s the site where my first foray into online fiction got published, so I like to stop by now and then. Every Halloween, I like to see what spooky stories they have up. This year’s Halloween story is Zombie Walk by Lise Colas, which is a pretty fun little tale but not as good as entries from previous years. I recommend Halloween Coming Out by Jeff Switt as an excellent example of Halloween flash fiction – it was the story for October 31, 2014. Stop by Every Day Fiction to see more Halloween and horror flash fiction released in the last week. There’s been some more cool flash fiction posted up at Flash Fiction Online for Halloween this year. I shared The Monster on Her Cheek by Rebecca Roland with my writing students, along with Halloween Coming Out. Flash Fiction Online is generally very well curated, so each of the stories this issue was fun and creepy. I especially liked The Offspring by Brenda Anderson for its sheer weirdness – I can’t give anything away, so check it out! Anyway, that’s what I’m reading. If you live in a country that celebrates Halloween, be thankful you can enjoy the creepy costumes and parties -getting in the spirit can be pretty hard here in Korea, unless you have a good group of foreigner friends!